Chico, California based Aero Union is the largest air tanker operation in the United States. Over the years, Aero Union has operated a variety of types including the B-17, C-54 and now the P-3 Orion. 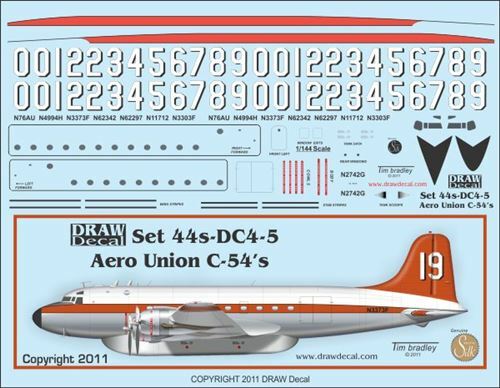 This set depicts the C-54's that were operated by Aero Union. Use the Minicraft DC-6 fire bomber retardant tank in conjunction with the Minicraft DC-4 kit.